Hot Air Balloon is a light than air vehicle. It consists of a large bag called envelope that holds the air inside, and a basket (or gondola) that is suspended beneath the bag in which passengers are carried. A source of heat mostly propane is carried, to heat the air inside the bag. 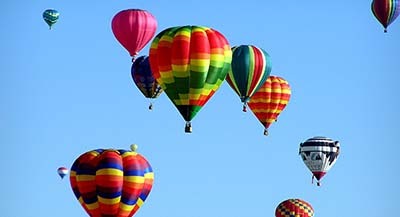 Today, hot air balloons are used by tourists and adventurers to enjoy the flight. Two French brothers Joseph and Jacques Montgolfier once noticed that the ashes of the burning paper floated in the air. They thought that fire has a lifting power that causes the ashes to float in the air. They became interested in lifting power of fire. For this, they made a small paper bag whose bottom was opened, in which the hot air coming from the fire was directed to fill the bag. They were amazed to see that the bag was rising towards the roof. They performed several experiments on larger bags and finally made a balloon on 19th September 1783. In this balloon the passengers were three farm animals, they were a sheep, a duck, and a rooster. To inflate the balloon, they burned fire underneath it. When hot air filled in the balloon, it lifted off the ground and flew for 8 minutes before landing safely. This was a great achievement which proved that humans can also survive the flight. The next step was to make a balloon that can carry humans. 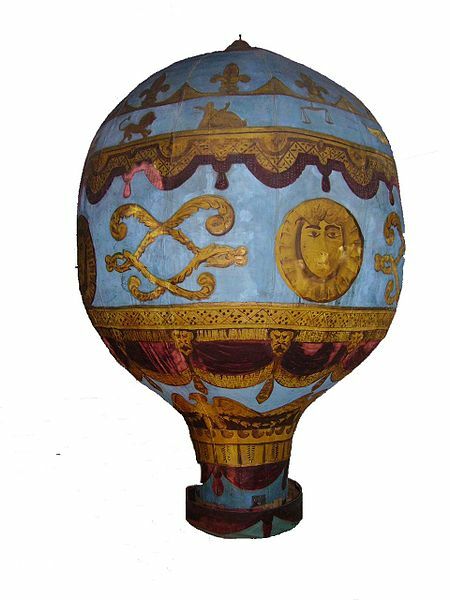 For this, both brothers took about two months and on the 21 November 1783, they designed a balloon carrying two brave Frenchmen, Pilatre de Rozier and Marquis d’Arlandes. These two men became the first humans to experience a sustained flight. They flew for 25 minutes, covering 5 miles of distance and reached a height of 3,000 feet. This first manned flight was witnessed by King Louis XVI and the famous American ambassador Benjamin Franklin. Hot Air balloons had a problem of descending as soon as the hot air inside them cooled. They needed a constantly burning fire to keep the inside air hot. Jacques Charles releasing that problem made a balloon in which hydrogen was filled instead of hot air. Since hydrogen is the lightest gas, it provided lifting through buoyancy force. Eliminating the need of carrying the fuel in the balloon. The main problem with hydrogen gas is that it is highly inflammable. Even a small spark can burst it into the flame, making the hydrogen balloon a risky aircraft. Pilatre de Rozier who became one of the first men to fly in the balloon also became the first martyr of the balloon. He used the combination of both hot-air and hydrogen in a balloon. After the 30 minutes of his flight, his craft blasted into the fire because hydrogen somehow caught the fire. Today’s hot-air balloons carry an onboard heat source mostly propane burner. 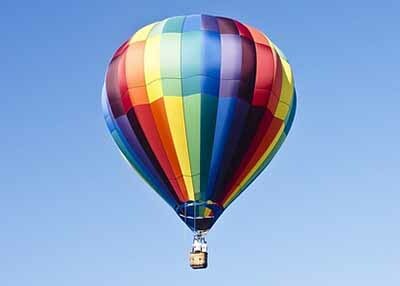 They are able to fly very extreme heights and are safer than previous balloons. They have greater payload capacity and can cover long distances in a single flight. Abdul Wahab, "Hot Air Balloon," in Science4Fun, April 13, 2019, http://science4fun.info/invention-of-the-hot-air-balloon/.